Practice with Brandt and Anna at home! Why would I want to work privately with a Peaceful Weight Loss ™ Professional? Is My Practice Working? A Peaceful Weight Loss Perspective. That’s a really good question—glad you asked. It’s probably the most important question we can ask ourselves in the Peaceful Weight Loss process. In the past, most of us have moved forward with “a program” whatever it was: a diet or an exercise system. At some point we hadn’t achieved our goals so we stopped. The real failure in this approach is the failure to ask ourselves the question is this working? The reason this might be a hard question to pose to ourselves is that we don’t have the metrics to assess if it’s true. What’s working? How would I know? How do I assess today, or this week, or this month if what I’m doing is a good idea? In our approach we have some goals for our practice that aren’t directly tied to weight loss. Feeling more centered, calm, energized, clear, aware. These are some of the reasons we practice. We know our yoga practice is useful if it helps us experience these states more frequently. If we aren’t experiencing some shifts from our practice, we modify so that we do. A different yoga practice or switching/adding meditation, maybe a few days walking outside. We change our practice if it’s not working and then when it does we regularly check in to make sure it keeps working. When our practice is going well in these ways, “working”, we can then make food choices that will move us toward the weight we need to be. In this, we are engaged in our own evolution. Always moving toward our goal of an ideal weight and a peaceful mind. First a big Thank You! 2014 was a really amazing year here at Peaceful Weight Loss. Our 9 month course Transformation was launched, adding a new avenue for this work to be accessed by people in their homes. I am personally grateful for all of you who have participated and provided us with feedback to make this offering a truly beneficial experience for everyone. I look forward to implementing new ways for us to stay connected and transform so that we experience our fullest potential. Like so many people at this time of year, I am thinking about what I would like to happen in the year to come. Much of these thoughts are based in my mundane worldly concerns – work, family, cleaning my kitchen more, etc… but I always try to reserve a space in my thoughts for self betterment. How do I want to expand myself this year so that I am more connected to my better self? And – how can I implement this? The latter is as important as the first. Do I need to set aside time? Do I need some set of information or instruction? Do I need to seek help outside myself to grow and shift? These questions can seem overwhelming when examined in the middle of what might seem like the chaos of our daily life. This year let’s take the time to sit quietly with these questions. Let’s spend a few moments together contemplating how we can best serve ourselves. I’ve included a short contemplation below – may it help each of us find clarity and intention. Thank you always for supporting this work and please don’t hesitate to contact us – we’re here for you. You know what all these thoughts have in common? They have nothing to do with our current groove. They are 100 percent different from what we are doing now. And why not? We don’t like our current situation so why not try to completely change it? Here’s the problem: It never really works. When we commit to paths that have nothing to do with who we really are, and what we’re actually doing, we can never sustain them. Instead we need to look at ourselves and ask what the great sage Ramana Maharshi asked everyone to ask themselves – Who am I? In other words, Am I an athlete? Am I a fasting junkie? Am I someone who wants peace? What is it that I could do to put myself on the path to health, healing, and happiness? The answer is – MY GROOVE. We must be on our path if we want success – not other people’s ideas of what our path should be. Peaceful Weight Loss is a process to find your groove. Your way of moving, your way of relaxing, your way of eating that feels authentic to you. It is a process with suggestions to help you find yourself. Then the whole changing the way our body looks and feels becomes a natural part of this. May we all find our groove today. So many of us have the same idea. It may be upfront in our minds or floating in the periphery. When we get to a certain weight, something magical will happen. Maybe our self doubt and judgement will end. Maybe we will finally be attractive enough for [fill in the blank]. Maybe we will be able to quit our job. Or start/end that relationship. But when is the point this magic happens? First it’s when we lose twenty pounds – then another 20 – then another? Then just 5 more for good measure. Then… Each landmark comes and these things do or don’t change. There is always more that we want to shift and we’ve attached it to our eating patterns. Not Good. Losing weight is a choice. Perhaps it’s a good idea health wise. Or maybe taking off some weight will help with our self esteem issues – or maybe we just want to succumb to our vanity and look hotter. All of these reasons are valid. There is transformation through weight loss. Especially on the Peaceful Weight Loss path. By working through our difficult eating patterns and mental un-clarity we definitely change for the better. But how about we go for real transformation and not get stuck in our addictive eating disordered minds. For when would our weight loss end if we get caught up in this repetition? Don’t we want to experience peace? Celebrate when you set goals and accomplish them. Find the innate bliss in taking care of yourself – but don’t let your mind steal the joy of the experience by demanding that all of your external circumstances change. Enjoy the process of transformation for what it is. People transform themselves in so many ways using the Peaceful Weight Loss process. I have seen so many people rid themselves of patterns that no longer serve them and become happier and healthier as a result. A woman ended her bulimic tendencies and lost 35 pounds. A client lost 40 pounds and has kept it off for 3 years now. A woman who has moved through her body issues enough to eat regularly and enjoy it. She reports she is no longer “torturing herself”. A client who has stopped binging at night for the first time in her entire life. Seeing these kinds of changes day after day is such a gift. When people discover the link to their true self, they move beyond the difficulty of their mind – the thought patterning that has been imposed on them. And contentment grows. I want to thank everyone that has shared their experience with me over the last year. I also want to welcome everyone that is new to this process. Have faith that doing this work, and making your way towards incrementally changing your relationship with food, will pay off. I encourage you to find the support you need by staying connected to Peaceful Weight Loss through Yoga in any way in which you feel comfortable. (Check out our site for more ways to connect.) We have an exciting year ahead! May we all be nourished this meal, this day, and this year – so we may nourish the world. Our recursive, difficult, addictive thoughts are often the most challenging to work with. They guide us into unstable, non-nourishing behaviors that cause us, in the end, to gain weight. As spring arrives, we can make room for more useful and beneficial thinking to dominate our mental space. So what do we do? How do we design a cleanse that will bring us this much wanted spaciousness we desire? Just like fasting from food—we need to set aside some time to fast from non-nourishing thoughts. We need to fill our minds with beauty, love, and positive thinking. Let’s take one week where everyday we make time to practice in a way that we enjoy. Let’s read something that makes us happy. Let’s listen to music that uplifts us and spend time with people we enjoy. Go to your favorite restaurant or make that meal you love that you haven’t had in a while. Take a break from the negative as much as is in your control. And these things are. At the end of your cleanse see if you are changed. Notice if any of these positive thoughts and patterns want to stick around in a more permanent way. May we all find the light today. I’m noticing that the powers that be have decided that summer is approaching and that you should care very deeply about bathing suit season. They have decided that the best thing for you to do is to get anxious and do something drastic to change the state of your body. And, of course, we all initially respond to these messages with total agreement. If we get anxious enough about our current state of affairs, then we’ll motivate to DO something about it. And fast. We should use our anxiety as an agent to promote change, right? Wrong. Stress is not your friend. Stress and anxiety have not helped you to lose weight and keep it off in the past. Stress causes most of us to eat in an irregular manner and to make poor short-term decisions (like trying to lose 30 lbs in 30 days). Most important, being stressed is extremely unpleasant. As you counter stress responses in your body and mind, your weight loss efforts will be easier and more pleasant. You are an individual and you are on a path towards wellness. Staying on your individual path will not only help you achieve your weight goals, but it will keep you sane and able to steer clear of the non-useful (and stress producing) media/cultural enviroment around you. 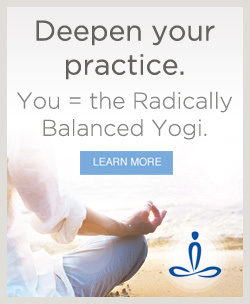 Find your yoga practice on a regular basis. Move towards a way of nourishing yourself that leaves you feeling calm and energized. Stay on your individual path and let no one sway you. You are already doing something to transform by being in the Peaceful Weight Loss process. No more is required of you! Allow yourself the experience of inner peace by knowing you are already doing enough. At the studio where I teach, yoga classes are full of students embracing a new season. As we move out of our summer schedules, we are presented with opportunities for change to occur. This is the great thing about transitions. Seasons, birthdays, illness, etc… All change may allow us to move forward with new energy and determination. The more present we are during each transition, the more we are able to see an opening for change to occur. No longer “trapped” in that which binds us, we are free to move forward in a way that feels in alignment with who we truly are. Practice is the key to that presence. This month I present you with a challenge – find yourself for a few moments daily. Make this your practice. Can you watch your breath for a few minutes every day? If you do, you will be presented with the possibility of opening for a positive shift in your life. This shift may feel profound or subtle. I’ve seen people realize that they can take a couple of yoga classes each week. I’ve seen people realize that they do not need to eat candy at work. I’ve seen changes in how individuals approach each day directly resulting in doing their job differently. Or that yogurt makes them sick. We never know what the opening will be. Honor yourself during this transition of seasons with the practice of being present. May all beings be free and happy – May we all benefit from one another’s presence. That was on the cover of a health magazine I looked at the other day. I’m not sure what was crazier: the assertion, or the fact that I wanted to believe it. We are inundated with these messages, especially in the summer. The appeal of these messages is overwhelming because they play on our vanity. They attack our self-esteem: they imply that the solution to our “problem” is so easy that we must be weak to not have remedied it earlier. Since we all seem to fall prey to this, I thought I’d write a little mantra for us to hold on to during bathing suit season. I commit to noticing any effects this has on myself and those around me. It’s spring—and in alternative health circles, that means it’s time for detoxing, cleansing and fasting. It seems that everywhere I look—whether it’s in magazines, bookstores, or CVS— someone is trying to sell me a fasting system or detox kit. While these products and systems may have their benefits, weight loss is not one of them. I repeat—these systems will not help you achieve your weight goals. In fact, they will more likely contribute to further imbalance, which will result in weight gain in the long term. The concept of cleansing ourselves in the spring is a good one, though. Taking some time to reset our mental and physical palates is incredibly beneficial. We take a couple of weeks to take less in, simplify and rest. This will leave us feeling clear-headed and reduce our cravings for food that imbalances us. – Take a two week period to do your cleanse. – Simplify your diet: cook at home and eat only delicious home-cooked meals. Bring food to work as well. – Make no social plans—instead, leave time for yourself to do things that relax you. Hot baths, walking, and gardening come to mind. – if you can, eliminate alcohol, coffee, and sugar from your diet. If you can’t, reduce to a bare minimum. – Read something you enjoy every day. – Practice yoga daily, but keep it fun and easy. – Listen to music if you enjoy it. – If it feels right, spend some time cleaning or organizing your home so it feels better to you. After two weeks, your palate will be clearer and you will be able to make decisions from a more balanced, peaceful place. As always, email me with questions or comments. Brandt writes newsletters designed to inspire and keep you connected with your Peaceful Weight Loss work. The newsletters are archived here if you’re looking for more inspiration. Please sign up for free and stay connected! Don’t worry–your email is safe with us. Where My People At? How Social Eating Can Be The Biggest Challenge On The Weight Loss Journey.